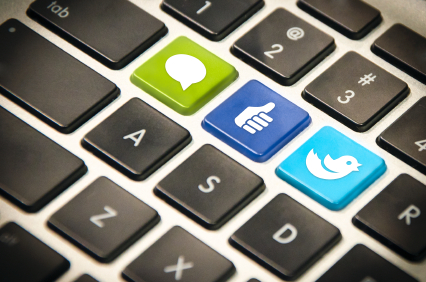 Employers and Social Media: Is It More Like Sexual Harassment Than You Think? We’ve also discussed some of the problems of unauthorized disclosure from the perspective of the employee, which is of course exacerbated by near-ubiquitous social media technology at work that makes it trivially easy for anyone to fire off an email, a Tweet, or a post on Facebook without considering whether that disclosure might violate the employee’s legal obligations. Now, we take a look at the other side of the coin; that is, the effect of social media on the employer, starting off with an intriguing article by investment manager and columnist Theresa Hamacher in which she argues that from the employer’s perspective, social media use presents the same sort of minefield as workplace sexual harassment. But Ms. Hamacher’s analogy may be useful in helping employers craft solutions to potential problems they may face as a result of their employees’ use of social media – particularly in their off-time. One potential approach she suggests is to have employers train their managers in the use of social media, as apparently financial giant Morgan Stanley is now doing. Of course, one of the things that has made Twitter so successful is its free-wheeling, spontaneous nature in which employees feel free to offer unvarnished opinions on everything (including their employer and co-workers). If social media becomes just another managed press release, is it still “social” media? Time will tell, but as we move forward, it's clear that employers need to do something to protect themselves from potential liability.